After the success of last year's beer advent calendar, it was only a formality that I would do it again this year. It's the pretty much exactly the same as last year, just a little better executed - with a box with pull outs (just like a real advent calendar!). The idea is exactly like an advent calendar, but instead of getting a little unsatisfying chocolate each day - you get a different beer! 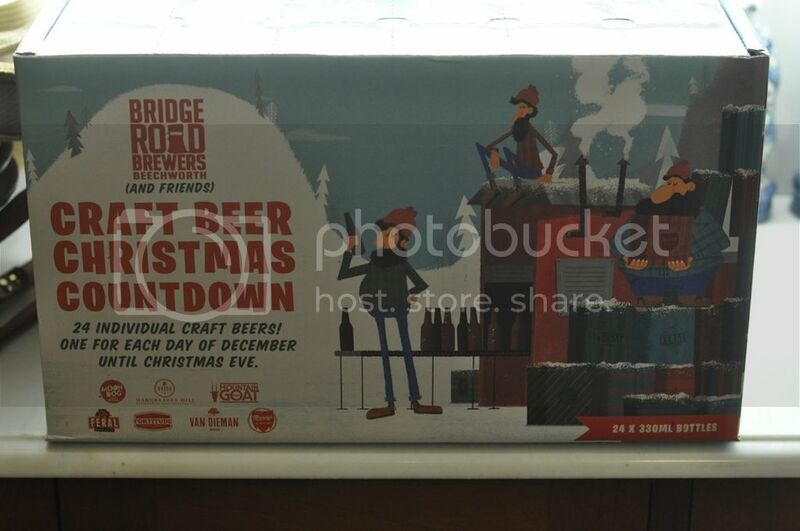 This year Bridge Road have teamed up with a few other brewers to produce this pack. I can't wait to see what's in this pack. If you're keen to get in on this, they are still available from Dan's. I'm really excited about this pack and naturally I'll document my findings here. I intend to post this wrap up in 5 parts so you can follow along only a few days behind me. I'm hoping it'll be a great journey and I'm looking forward to trying some beers that I haven't had a chance to sample yet. Without any further ado, let's get into it! 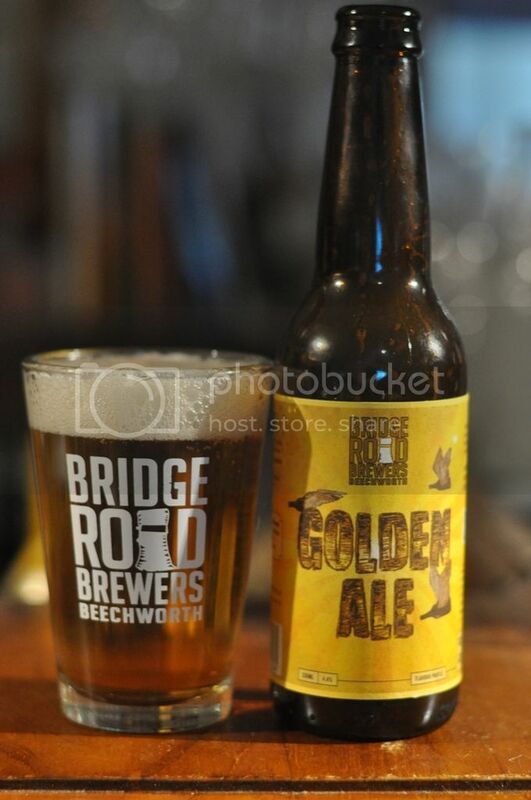 Day 1 - Bridge Road Golden Ale - The first beer in #craftbeercountdown was the Bridge Road Golden Ale. I went back and checked and last year this beer came out on Day 8. It's not a world beating ale by any means, but it's a perfectly respectable beer to kick off #craftbeercountdown. My expectations were pretty much bang on the money. The Golden Ale is a little less sweet than I recall it being, definitely a plus, whilst still being quite light and refreshing. There's a bit of grass and some stonefruit flavours there, but nothing to get particularly excited about. This is a beer for those starting to venture into the craft beer world. Day 2 - Mountain Goat Steam Ale - After hearing that Mountain Goat were involved in this pack; I'm not surprised at all to see this beer find a home. 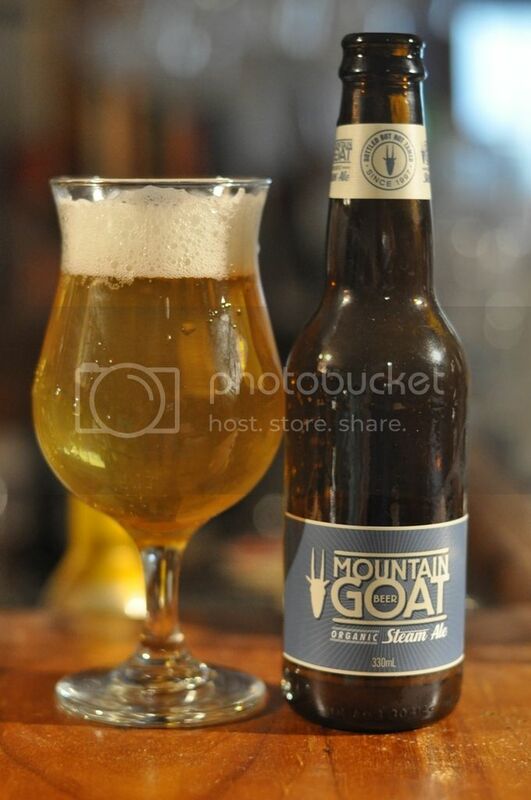 Mountain Goat Steam Ale is one of the most important brewers in the Australian craft beer scene, having effectively started Melbourne's love affair with craft beer almost 20 years ago! The Steam Ale is a California Common, a unique American style of beer brewed with lager yeast that functions better at a higher temperature. I'm very well acquainted with Steam Ale on tap, but can't remember the last time I had a bottled version. What I can say it's that the bottled version is noticeably yeastier and fruitier. I really like the look of the new packaging as well. I'll be getting more for over summer. 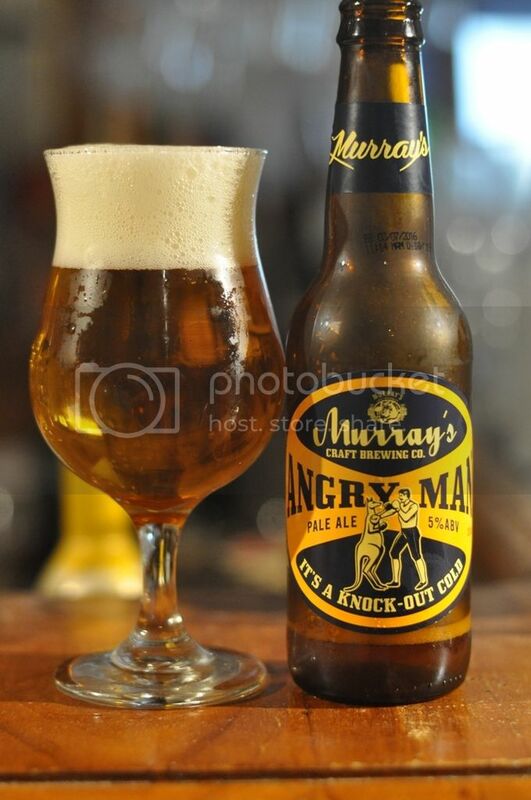 Day 3 - Murray's Angry Man Pale Ale - Murray's is a brewery located in one of the best named towns/suburbs in Australia; Bobs Farm. They produce a really wide variety of beer, including some rippers like Punk Monk (see previous full review here). The Angry Man Pale Ale is what came out of the box on Day 3, a beer that I've had mixed results with in the past. Today's beer was a beautifully balanced Pale Ale. The malt was lightly biscuity, while the fruity hops provided peach, mango and grapefruit aromas and flavours. Angry Man and I have a love/hate relationship. On some days, like today, it's a lovely fruity ale; whilst on others it can be a mess. If it all tasted as nice as this one did I'd drink it far more regularly! 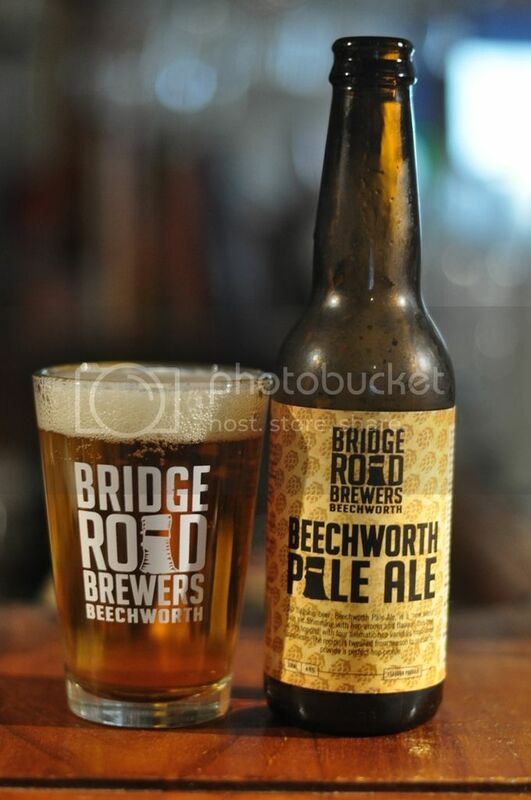 Day 4 - Bridge Road Beechworth Pale Ale - The second Bridge Road beer to appear in this pack was their Beechworth Pale Ale; named after the picturesque town the brewery is located in. This is another beer that's had a face-lift, with the new label (not that the photo shows it well...) nice and striking with hop cones in the background. This beer appeared twice in last years pack and I'm glad it's making another appearance this year. The hops are very flavoursome, with tropical fruit and citrus characteristics very prominent. It's not particularly bitter but some of the citrus provides almost the illusion of bitterness. The malt base is light on flavour, but interestingly has quite a full body for the style. Day 5 - Feral Karma Citra - I was pretty pleased to see something a little different come out of the box on Day 5. 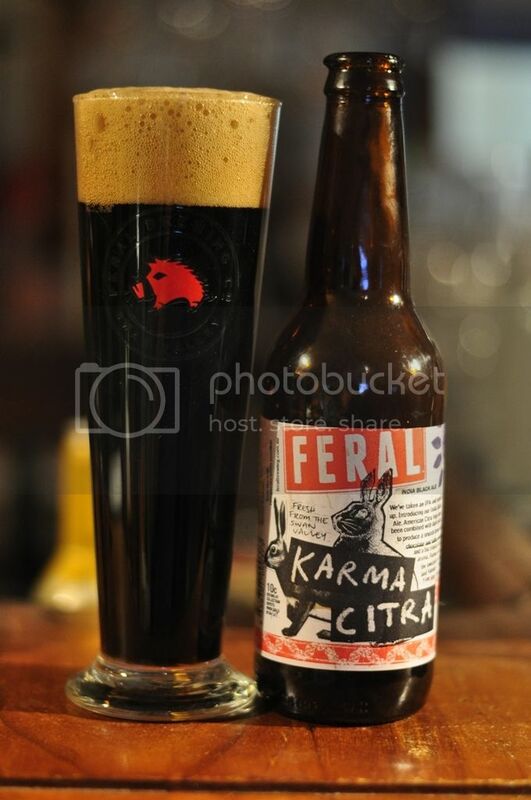 Karma Citra is Feral's latest addition to their core range. Having had it a few time, both as a limited release and as a core beer, it's a Black IPA that utilizes my favourite hop, Citra, to great effect and one that I can't wait to try again. Karma Citra is a brilliantly balanced Black IPA, which offers enough to true connoisseurs of the style whilst still being approachable for newcomers. It's lightly roasty and smoky, whilst not being too chocolatey. The hops are unmistakably Citra, although I do feel they've been dialed down a touch for this core release. For those of you who haven't tried a Black IPA, this is as good a place as any to start. Five days into #craftbeercountdown and I've been impressed with the freshness of the beers, particularly the Angry Man, if not necessarily the range. Four ostensibly pale ale's, yes I'm aware California Common's are lagers, is not the most awe inspiring start but on the plus side things can only get better from here. Hopefully in the next lot we'll get a little more variety!